Before the proposal of Auto Development Policy (2016-2021), the local auto market has constantly faced lack of interest from federal government to foster the sector. Moreover, the misuse of policies governing the import of used cars has further dented the local auto manufacturers of Pakistan. Auto Industry of Pakistan not only acts as an employment driver for the country but it is also a significant contributor to our treasury. According to the Chief Operating Officer (COO) of Indus Motor Company, Ali Asghar Jamali, around one-third of a car’s price in Pakistan is tax. Taxes on locally produced vehicles lead to a price raise which ultimately boost the import of used cars. “However, the comparison of Pakistan’s most selling Toyota Corolla prices in the region shows that it is cheaper in Pakistan than in India, China and Thailand,” he said. 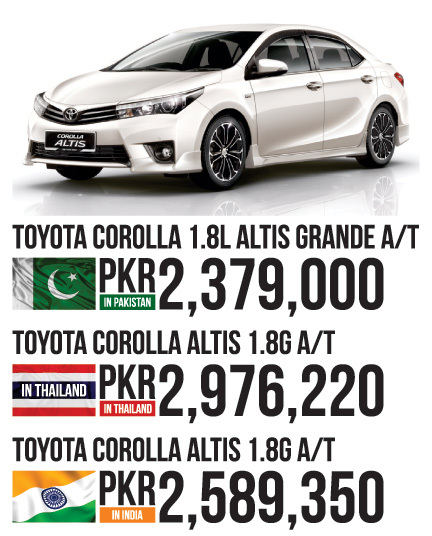 This statement is true if we blindly compare the pricing of 1.8-liter Toyota Corolla Altis Grande in Pakistan with its competition in India and Thailand, however, Corolla 1.8G variant in India and Thailand is way more feature packed as compared to the top of the line Toyota Altis Grande offered by Toyota in Pakistan. The COO is also optimistic about the new Auto Development Policy pretty much like the CEO of the company. In addition to this, he said that nearly 70 percent of the car is made by using locally produced parts which saves millions of dollars of country’s foreign exchange however over the years; their interest has diminished due to frequent amendments in policies. He further added that auto development policy should remain as it is for at least next five years to leave an impact on the industry. To sum things up, Pakistan would be the 4th most populated country in the world in no more than fifteen years and with only 16 out of 1000 people owning a car in the country, Pakistani auto market have a strong potential for future growth. This market expansion can further be catalyzed through tax relaxation and restriction of imported used cars. 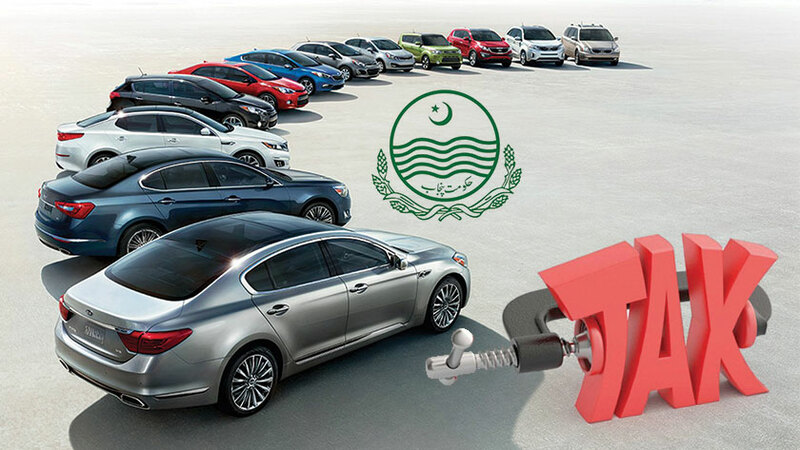 Punjab Government to Charge A Fix Tax on Imported Used Cars! 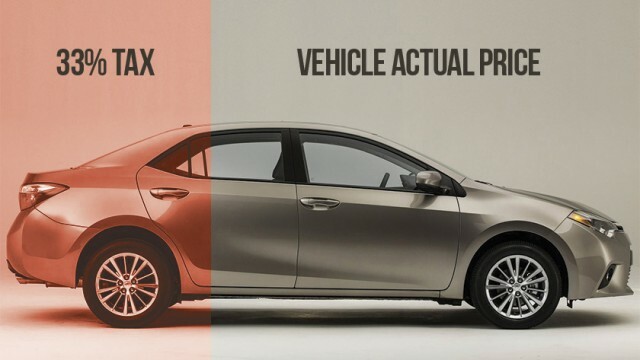 The number of features in the Thailand-built Corolla should make Indus Motors jump into a well out of shame. But no, because we protect them, they;’re free to fleece us to their hearts’ content. This is my Honda City 2015 Manual base 1.3 invoice with Multimedia/navigation and Fog lamps……. so that makes a total of 270000/- tax on the face value of the car……. agreed but if the prices mentioned for Corolla Thailand are correct then about 6lacs are way too high dont you think? The quality of local Toyota corolla is pathetic. It’s handling and control is worse than a Suzuki. I dont think Corolla manufactured in other countries would be this bad. More Car taxes be applied for new cars, because it is the only TAX “ameer banda” give or taken by Govt. Have anyone noticed that due to increase in traffic era of road sense is ended, we need also high/strict challan rate and high parking fee like in Dubai, Pakisani ppl only understand the power of “DANDA”, so road sense or traffic education might not help. These liars, dictating us what to drive for decades. Creating a monopoly and now when being threatened by the import (which I am not saying is good) are making excuses. An economic growth that is limited only to the owners of these companies and the government officials. I wish the people could hold them accountable for looting the hard earned money of the hard working majority. Making a lame excuse of the government taxes. Check the Toyota Bharat and Maruti Suzuki website. They are providing more variety, better quality, better safety and more fuel efficiency in the same price range. We are not asking you to provide the same thing in lower prices(as you complain of the higher taxes) but to cut a little of your profits to give quality, safe and fuel efficient vehicles. You can do that but you won’t because it is easier for you to hand over a little commission to each Federal Govt and get your favored auto policy than provide better options to your consumers. Thailand also has a huge amount of taxes in the price of the car. Ex-tax price is less than 20k USD. The sales tax on input(parts) is included in final 17% as nothing has to be taxed twice, manufacturers take the tax refund of input and pass it on to the end consumer. Moreover 40000 is not a tax in itself, it’s adjustable with the final sales tax liability. Please someone from Toyota enlighten pakwheels users with the breakup of 33%. The statement is misleading and fact of the matter is Big three are the main culprits of bad automobile market in Pakistan. They always focus on the stoppage of used JDMs instead of competing with quality and price of JDMs.